I almost forgot to mention a fun bit of news coverage that happened during our Grande Prairie fieldwork. 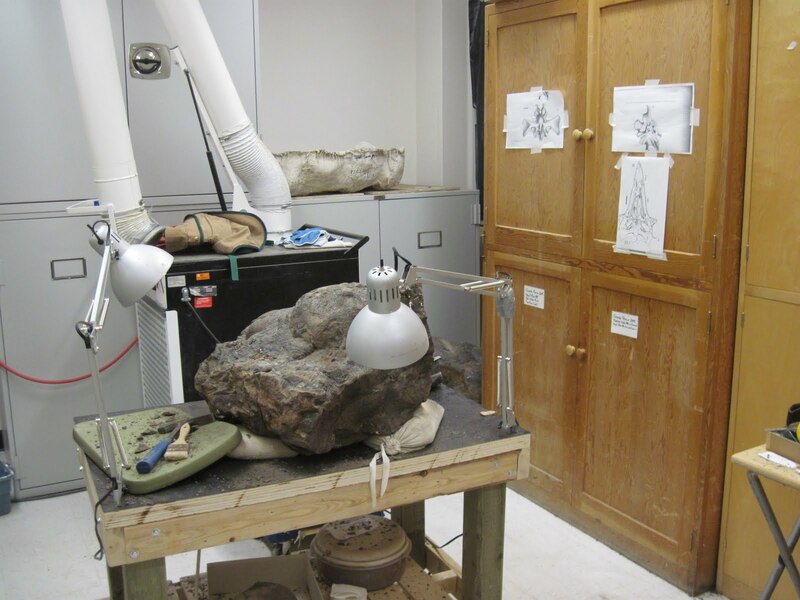 The first Pachyrhinosaurus skull to be prepared from the Wapiti River bonebed was nicknamed Hugo (for I hope obvious reasons…). It is on loan to the Grande Prairie Regional College for the next few months and is on display in a case beside their bookstore. The Grande Prairie Daily Herald-Tribune did a nice little piece on the new display and features a completely awesome photo of Phil Currie and prep technician Susan Kagan. Susan has been pummeling her way through the hard ironstone nodules that enclose the Wapiti River skulls – here is a photo from last fall of progress on the next skull to be prepared. It’s come a long way since then, but it takes a long time to get these guys ready. 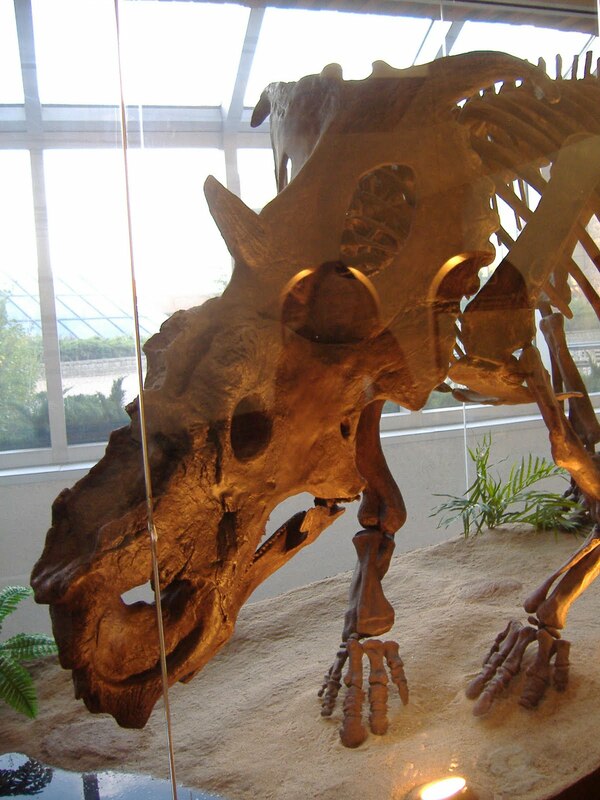 Grande Prairie Regional College also has a full skeletal mount of Pachyrhinosaurus lakustai, the species known from the Pipestone Creek bonebed.